Bluestem goldenrod is a lovely native wildflower with dark green foliage, dark blue stems, and small yellow flower heads. Typically growing in part shade at the edges of woodlands, these plants can grow up to 3 feet in height. The blooming period occurs from late summer into the fall and lasts about 3-4 weeks. In late fall, the flowers give way to small tufts of fuzzy seeds that are distributed by the wind. Growing conditions are for medium shade to partial sun and in soil that is loamy or somewhat rocky. They have great wildlife value as the nectar and pollen of the flowers attract a wide variety of insects, especially short-tongued bees, wasps, and flies. The seeds or capsules in the fall are eaten sparingly by songbirds and are especially liked by White-tailed deer. 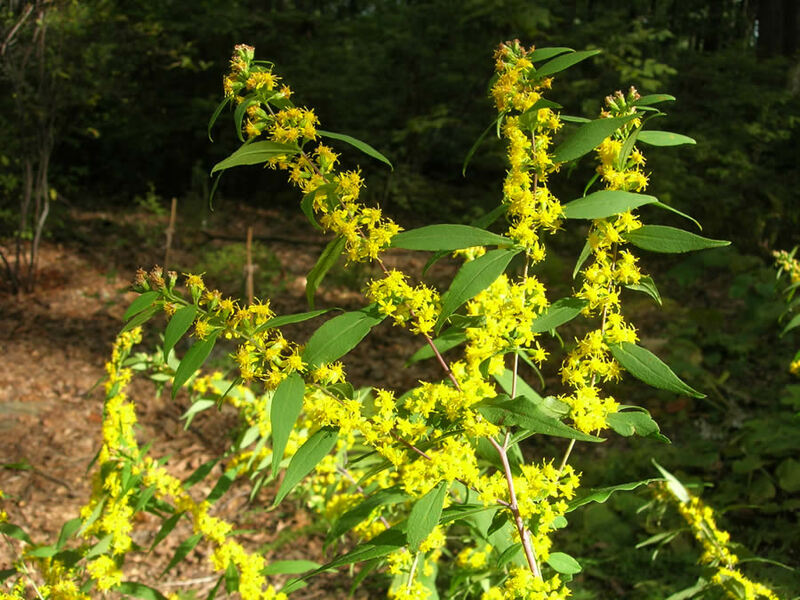 For homeowners, bluestem goldenrod is best planted in a naturalistic setting at the edges of woodlands or other plantings.